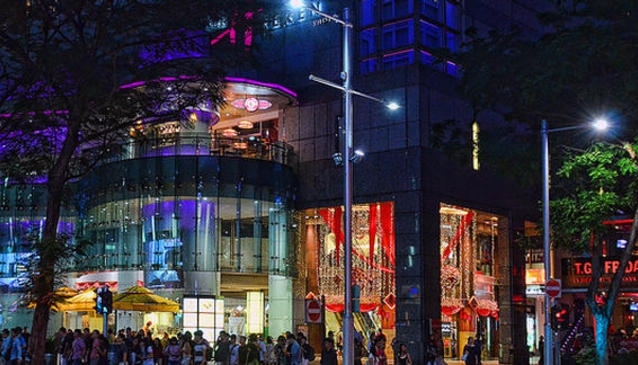 The Heeren is located at the junction of Orchard and Cairnhill roads - opposite H&M and the Visitor Centre, right in the centre of Singapore shopping frenzy. The shopping mall used to be the centre of attraction for several youth-centric brands such as Levi's, Converse and Fossil and the famous eatery T.G.I.Friday's. But since its major renovation and opening in 2013, the stunning building was entirely occupied by the shopping store Robinsons Orchard, which spans 186,000 sq ft of retail and food and beverage space, from the street level all the way up to the sixth floor. On top of the fashion, beauty and home items, you'll find at The Heeren, hair styling, mani-pedi, ATM and parking valet services.